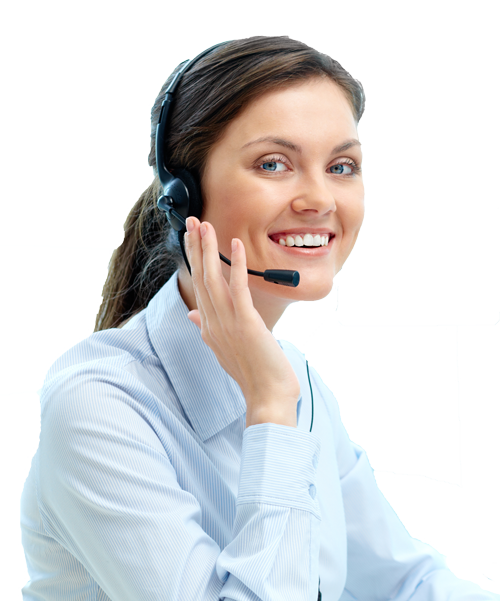 We help clients to advance their business using our wide range of VOIP Telecom Solutions. Lunar Telecom is the family of Business Phone System (PBX) which is based on the Asterisk platform and it is the fastest growing brand in the USA, Canada, and the UK. A business phone system designed to simplify voice communications. Using VoIP, it offers advanced phone features typically associated with enterprise phone systems. Call recording is a useful feature which enables a calling or called party to record a conversation using their phone. Call recording can be set to always record, never record, or record strictly on an on-demand basis. And later you can listen to those recorded calls on line or download to your computer. Once enabled, the follow me feature will direct calls to alternate extensions/external destinations (such as mobile or landlines) should a call persist (ring) longer than the defined number of seconds. At first, the system will ring the initial extension for the defined number of seconds Once the defined duration expires, the system directs the call to ring the extension(s) and/or external destinations listed as follow me numbers. The call can be accepted or rejected by an external device (such as a mobile phone) without the caller having knowledge of this. A rejection will ultimately send the call to the first (original) extension’s busy voicemail*. This feature routes your incoming calls automatically to a specified location depending on a list of parameters you’ve set. e.g 8:30am-5:00pm calls will ring the operator while calls outside of your business hours will be sent to an answering service automatically. Easily port your existing toll free or local number. By porting your existing number you get all features and benefits of using our IP PBX, without having to change any of your advertising or the number your customers use to call you. You can also forward your existing number to your new system. A Call Queue is a feature which places callers into a regulated on-hold system of priority such that the caller with the highest priority (usually the caller on hold the longest) is answered before a caller with a lower one. Call Queues are extremely useful when handling a large number of incoming callers at the same time. The conference feature creates a meeting room whereby users (both internally and externally) can call in and talk to one another. Conference rooms can be moderated by an admin user, and as well can be password protected to prevent unwanted callers from accessing it. Take your business phone wherever you go, connect to the PBX through a VPN and use your same office extension on your mobile, laptop or I pad as the same functionality of an office user. Remote extensions create the appearance of a larger and/or unified organization. One of the biggest problems nascent businesses face is how to best communicate. Remote extensions allow all the employees to be part of the same phone system, even as they use their own phones to receive important work calls. The virtual extension is a powerful tool for small businesses. Paging and Announcements is a collection of paging devices and/or desk phones that can receive a paging call. A Paging Only group also allows real-time announcements to be made to multiple desk phones and/or overhead paging devices. Typically, a paging group is designed to maintain communications coverage in certain areas of a building (e.g. “Warehouse” or “2nd Floor”). Paging Only groups have an assigned extension, but cannot receive or originate voice calls. This feature is included for free in all of our IP PBX Editions. Call parking enables a call to be placed in a call parking lot with an assigned number. This parked call can be picked up by any user with any phone. The caller who is placed in the call parking lot will have on-hold music played to them while they are awaiting a pick-up. Calls are assigned specific parking lot numbers upon transfer. The parking lot number is essential to this system, so it is imperative that the person transferring the call notes which parking lot number the call is placed in – the number is read to the transferring user after dialing the extension for the parking lot. Calls can be answered simply by dialing the parking lot number. The voicemail to email feature sends a copy of a user’s voicemail message to their specified email address. This feature allows users to listen to their voicemail messages via email or smart-phone device without having to physically use their desk-phone. Music on hold is a feature which plays music to callers who have been placed on hold or are currently in a call queue. The music can be customized to play a Commercial instead of music, or simply present the callers with a number of custom recorded messages relating to the potential nature of the call. Your Lunar IP-PBX is capable of grouping together many extensions into a single dialled extension. For example, if there are sales agents with extensions 220, 221, 222, and 223, then it is possible to assign a ‘Sales’ ring group which when dialed, will call all of the phones simultaneously. Additional options can be configured such as: the ring strategy (ring all, ring sequentially, ring first available, and more), max ring time, announcement (to be played to the caller prior to dialing the group), whether to ring or play music, and more. Lunar IP PBX gives you the ability to view all phone calls in a graphical interface. And also allows you to filter by date, extension, user, duration, and more. Totals are calculated based on the filter settings, and are displayed graphically in a number of ways. This feature is most use-full when auditing a particular user or department. Add or Upgrade your extensions and system features at anytime. Get in touch with us. Our experienced team is happily waiting to hear from you.